Coolpad Note 3 OSTI 2.0 stock rom refers to Optimized Stock rom which has been modified by Team Innovative. We can assure you that this stock rom or you can say customized rom is one of the best and stable rom so far for Coolpad Note 3. The OSTI 2.0 Stock Rom is based on android lollipop running on 64 bit cpu architecture and is heavily modified and rich applications integrated. The rom is pre-rooted with latest super-su installed and has ViperFX audio enhancement app which really gives a rich experience while playing songs and videos on the device. Also xposed framework works pretty flawlessly with most of the modules working. The OSTO 2.0 stock rom has in-built feature for blocking ads which doesn’t allows any pop-up advertisements on any applications or games you run which makes it a very handy tool for users like us. The rom does includes pre-installed applications like Amazon Shopping, Google Drive, etc but they can be uninstalled as there is root privilege already using a 3rd party application. The stability and performance is pretty well and we can bet that you can run 5-10 applications simultaneously and do multi-tasking very flawlessly and without any glitch. You will forget to install any memory release app or clean master type application to free up the RAM. The ram management in this rom is wonderful which keeps the device boosted and giving a marvelous battery life of over one day heavy usage. We’re pretty sure that you’re going to like this optimized stock rom which will not only ease your daily usage of your Coolpad Note 3 but also will make you fall in love and forget to install any other custom rom as there are no bugs at all present in this rom. Minimal cpu & battery usage in screen-off state. THIS HAS BEEN PROVED TO REDUCE BATTERY USAGE IN SCREEN OFF and ON STATE. I observed only 2% battery drain overnight! CPU0-3 will be set to 442MHz MAX Freq. CPU4-7 will be set to 299MHz MAX Freq. Xposed working and tested. Open xposed installer (will be installed by this zip) > Settings > Enable “Disabled Resource Hooks” > Come back > select “xposed-v86-sdk22-arm64.zip” and click Install/Update. We have used Line Launcher which is quite light and small in size and it doesn’t consumes much RAM. Also this launcher comes with decent features like wallpaper shuffle and in-built ram cleaner. The themes used can be found under the theme store for free of cost. Cheers & a very happy new year 2017!!! I installed this ROM.. but it isn’t working…. It doesn’t shows even the logo…… It just rebooting,,,,, I just feel only the vibration, I didn’t see anything on the screen……..
Hey pls confirm wether this work in coolpad note 3 plus..because after installing i got just black screen but i could hear audio of booting..so if pls inform us.. 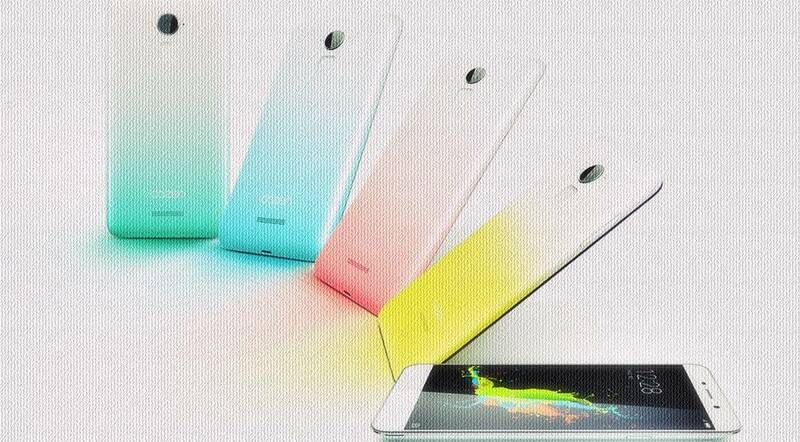 This is only for Coolpad Note 3. I have flashed this ROM in my Coolpad note 3 but now I am not receiving messages from anywhere and I am very upset about this issue please guide me further…..
tell me pls if there will be VoLTE support update in future for OSTI 2.0. I have written before this time too. hi i successfully installed the rom after rebooting screen got opened its asking password. kindly help me on this. plz provide this rom (OSTI) for cpn3l . Thank you Shripal. Guys this is the author, please visit the link and request your features. We have used LINE Launcher, it is quite light and comes with wallpaper shuffle and ram cleaner inbuilt. The battery and speed is pretty decent, you have cleared the cache/dalvik right? Can this be ported for Coolpad Note3 Plus? I think we need to replace libMAli.so & hwcoposer…… .so to make it compatible. Let me know if I am correct. OSTI – Optimized Stock by Team Innovative. We’ve just shorten it.